Today, conventional antifoulings are trying to prevent marine growth by use of toxic ingredients in a paint. Always with the same effect: short period of performance and the vessel needs speed and continuous movement to achieve performance. Micanti shows there is a simpler and safer solution, leaving paints behind! As Micanti is not a paint supplier, Micanti was not stuck to the paint concept and had a clear look around. In many applications, paints are replaced by films . One application was not looked at: the underwater hull of vessels. Based on a physical concept, Micanti has been able to develop an antifouling film that is suitable for all circumstances worldwide, whether you are moored or sailing. No questions asked! That’s what we call: Antifouling Reinvented! Micanti antifouling is patented worldwide and has won the Dutch SME Innovation Top100 2014. 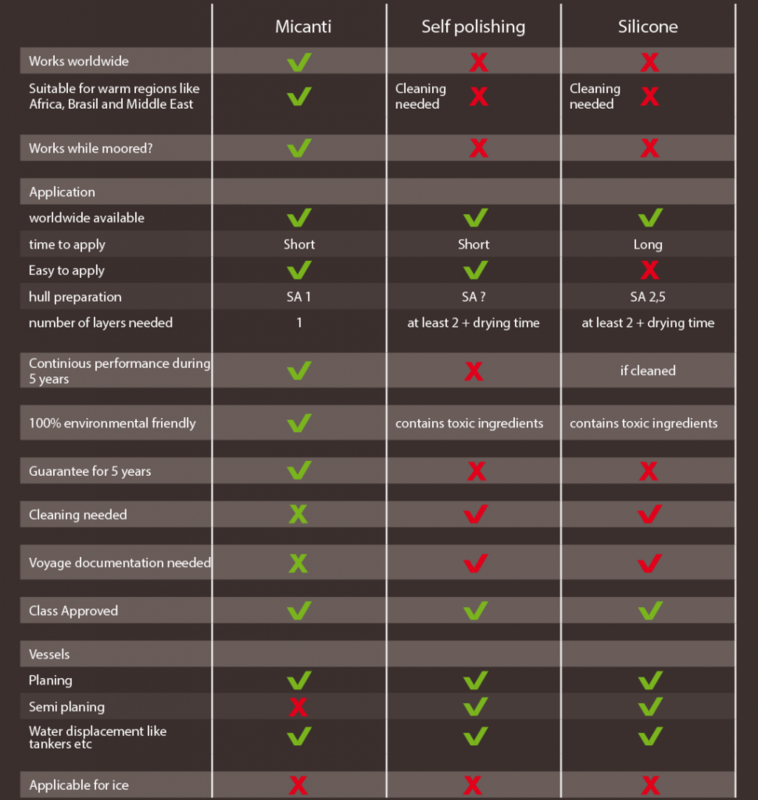 Micanti: the smoothest way to reduce your fouling costs. Micanti Antifouling is a physical barrier against marine growth such as mussels and barnacles. Micanti Antifouling is not a paint but a self-adhesive film which is applied on the hull of a vessel. By using specific short fibers, settlement of fouling is prevented. Micanti Antifouling initially has been used for moored objects like fish farms. Fish farms are the most difficult objects to prevent marine growth on. Fish is fed continuously and therefore the nets are an attractive environment for other species to settle such as barnacles and mussels. Micanti has proven to be effective on fish farms for more than 5 years. As an additional feature, the physical nature of Micanti antifouling guarantees 100% environmental friendliness. 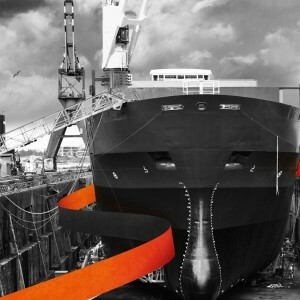 In the past few years, Micanti Antifouling has been further developed for the shipping industry. First applications have been done on workboats in the Netherlands, Middle East and the US. The fibers we are using are made of nylon and the film, the fibers are applied on, is made of polyester. Micanti Antifouling is patented worldwide. To download the product datasheet, please have a look a the download section. Micanti Antifouling has been tested extensively at institutes like MARIN, TNO and Delft University of Technology as well as in practice on vessels. Micanti has extensively tested the effects of the fiber structure on the hydrodynamics of ship hulls. What we see in practice and in labs, is the fibers are changing the water flow and are not causing extra drag compared to a smooth hull. As the antifouling effects of Micanti Antifouling are superior to conventional antifouling, fuel savings are generated based on keeping the hull of the vessel clean. One of the main questions people are asking is, whether the film can be damaged easily. As you will see in the movie this is not the case. Actually, we believe it has excellent properties to resist damage. Secondly, the film is built as such that it can only be damaged spotwise. Another question, clients offen ask, is whether the film will remain on the hull, for example during high speed operations. We tested Micanti Antifouling at a speed of 30 knots without any problem. Surface preparation is key to the performance.